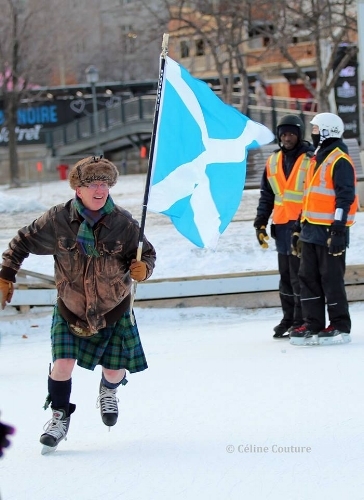 Kilt skates celebrate Scotland’s contribution to North America’s multicultural heritage in a unique way that highlights the Scottish reputation for determination, resilience and fun – with bare knees and ice. They became a national phenomenon in Canada in 2015 and already for 2019, seven Canadian cities have set a time and place to gather. The Canadian events are coordinated by the Scottish Society of Ottawa (SSO). Over the years, a friendly rivalry has grown among the kilt skate partner cities who vie for the title of Kilt Skate Capital of Canada. The Canadian kilt skates caught the attention of the American-Scottish Foundation (ASF), a New York based organization well known for philanthropic and educational initiatives as well as its celebration of Scottish culture. In the heart of Manhattan, Bryant Park has long been associated with the ASF’s programs and activities, including lunch hour concerts. 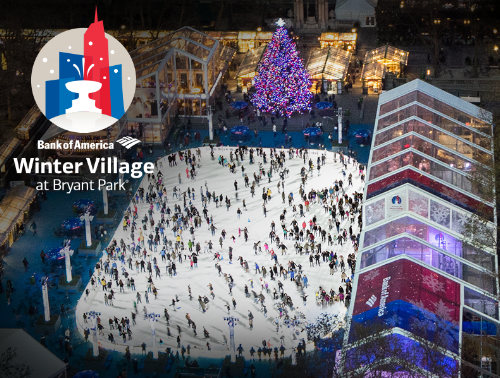 A popular year-round destination, Bryant Park attracts many Manhattan neighbours as well as winter visitors to the Big Apple with its Bank of America Winter Village, a winter wonderland of artisan shops, restaurants, a giant Christmas tree and – of course – a big, refrigerated rink ideal for kilt skating! Tartaned and kilted skaters are invited to come to Bryant Park at 2:30 p.m. At 3 p.m., the bagpipes will summon skaters for a ceremonial opening. The ASF will host a VIP pavilion near the ice with food and beverages, including hot chocolate and wine, available at a cash bar. Skates are available for$25 rental.